Start a group that’s a win for everyone. As a new entrepreneur, I created a meditation group for holistic professionals (my ideal audience) that met on Monday mornings in order to allow us to re-center before the start of a busy week. It ended up being a win for everyone involved. Besides the obvious benefits of relaxation, the group became the foundation for my initial client base. 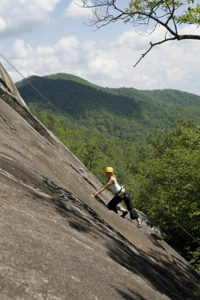 I’ve also done retreats featuring rock climbing and yoga which are some of my personal hobbies. 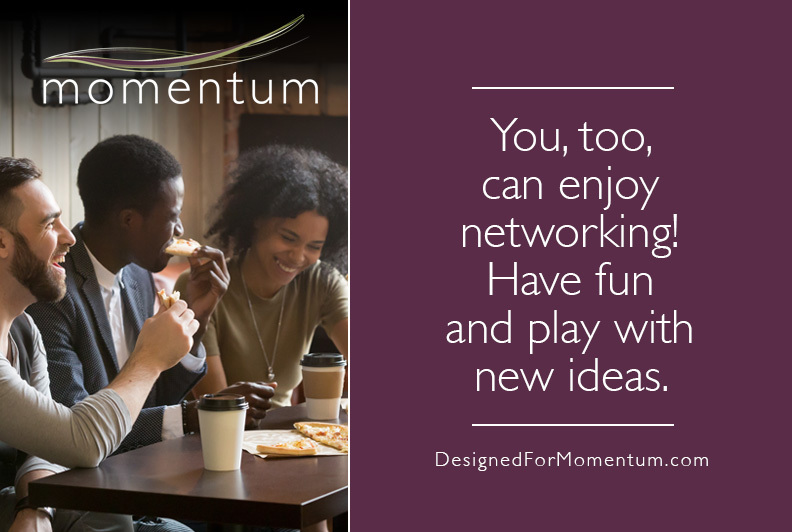 Even if these activities aren’t your thing, consider founding a group that plays to one of your interests, while giving you the ability to interact with potential clients or referral partners in an informal way. This is one of my favorite ways to network! Extend personal invitations to individuals who would be a good fit for your services. This one may make you uneasy, especially for introverts, but it’s a grassroots way to develop connections. If you’re a career coach and recently reconnected with an old friend who shared with you that she’s experiencing major dissatisfaction at work, you’ve found a perfect potential client. Now it’s time to invite her to learn more about what you do. You don’t have to do this in an overly sales-y way. Instead, you can say something like, “I know we had chatted about how you’re having a tough time at work right now. I’d love to help you!” One of the networking tips I consistently offer is to come from a place of service. This allows you to avoid feeling icky about offering up your services. Ask people in your network to brainstorm leads for you. Don’t be shy about asking friends, family, or colleagues to help you generate leads. They probably know someone (or maybe they’re that person!) who would benefit from your services. But if you don’t ask, don’t expect them to go out of their way to offer referrals. Take classes. One of the most important networking tips I’ve learned is that expanding your professional network can also be fun and educational. 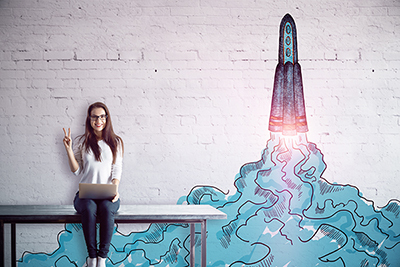 Taking classes for your own development serves a dual purpose: not only will you learn a new skill, but you’ll also be putting yourself in a position to meet people who could benefit from your offerings. If you’re a naturopath, for example, you might want to attend herbal classes or classes about Chinese medicine. Attend events aimed at your target audience. In a similar vein, attending events like conferences or lectures allows you to meet people who can serve as a referral source while you simultaneously learn new information. Maybe you meet someone in a neighboring city who would be glad to refer people to you if she doesn’t have the ability to work with them herself due to distance. Ask for referrals. Get creative when it comes to tapping your network for leads. If you’re a graphic designer, for instance, you can create referral sources with business coaches who don’t offer in-house graphic design services, printers who don’t do in-house graphic design work, and social media marketers who don’t specialize in graphic design if they might consider referring customers when they need graphic design work. There are always professionals who you can be collaborative with but not competitive with as you look to grow your business. Use social media as a way to network. Another one of the networking tips I offer up frequently is to use social media to your advantage. While often thought of as simply a workday time waster, you can actually leverage social media in order to build your brand. Facebook groups, meetup groups, and Twitter chats are all easy ways to connect with potential clients. Not sure how to find a group that’s right for you? On Facebook, click on the search bar, type in a relevant keyword that pertains to your business (maybe it’s “massage therapy” or “solopreneurs”) and your results will display groups that are relevant to that keyword. On platforms like Twitter or Instagram, try using hashtags to discover accounts worth following and engaging with. Create your own community. Don’t see a community you feel connected to on social media? Start your own! Maybe it’s a podcast, or perhaps it’s a video chat or a Facebook group. Don’t wait for someone else to create an opportunity for you to network. By facilitating a group of your own, you’re building the perfect place for like-minded people to meet, while generating leads at the same time. Volunteer. Find a cause that’s near and dear to your heart, then get active. You’re approaching the event with an attitude of service, while also meeting people who could potentially use your skills. If appropriate, you might also lend your services directly to a volunteer organization. That group can then become a referral source for you after they’ve seen what you can do. Even if your networking game is on point, you may be missing an opportunity if your website and marketing materials aren’t connecting with your audience. I invite you to give my Brand Marketing Checklist a go. I’ll help you identify the exact spots where your marketing could use a boost and connect more deeply with potential clients. Click here to dive into the Brand Marketing Checklist!